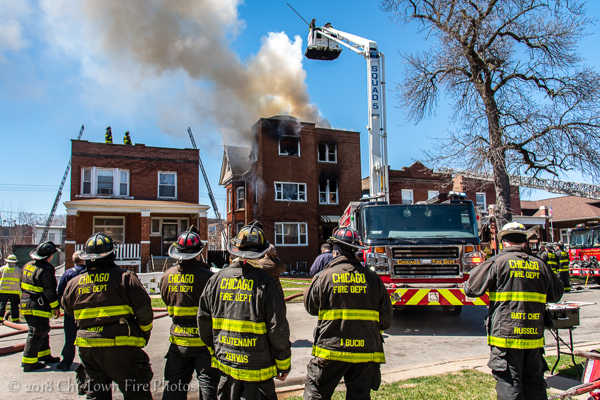 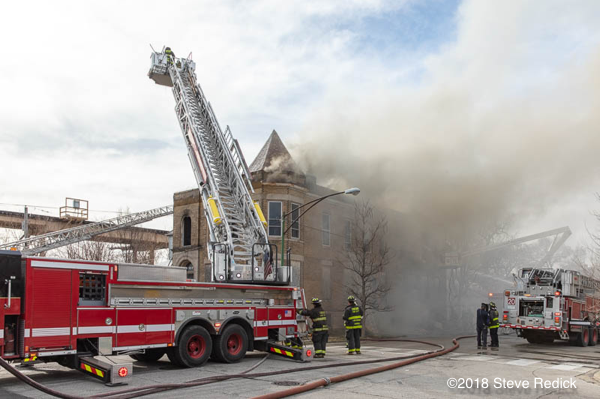 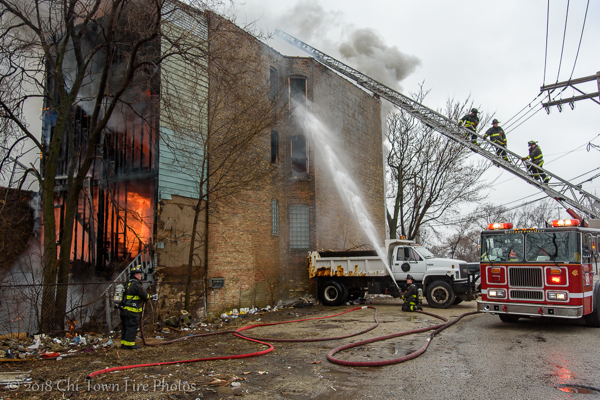 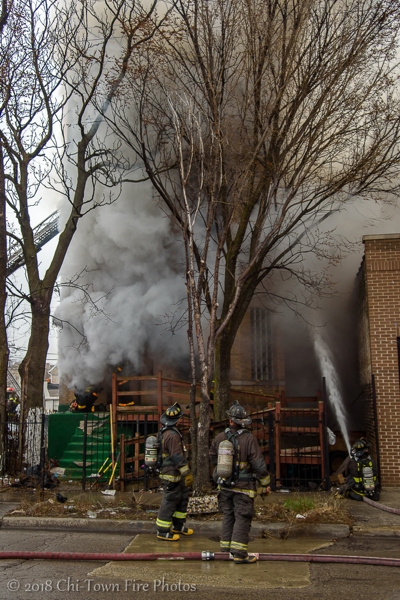 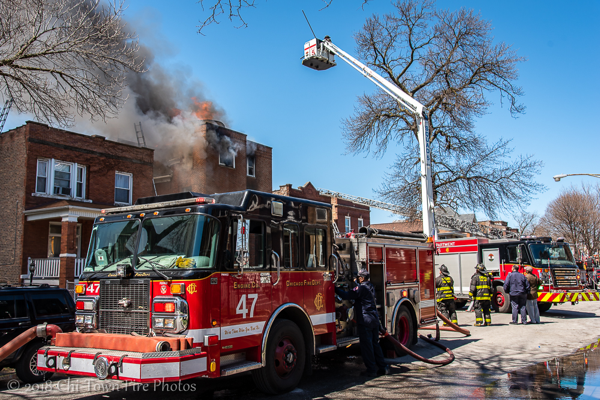 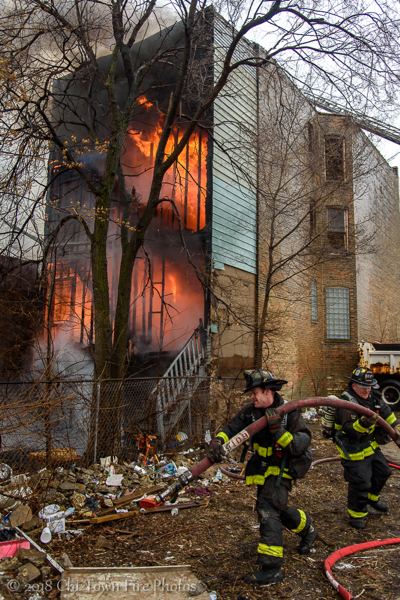 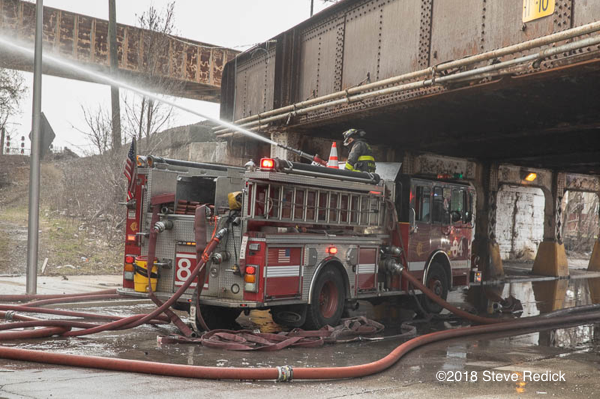 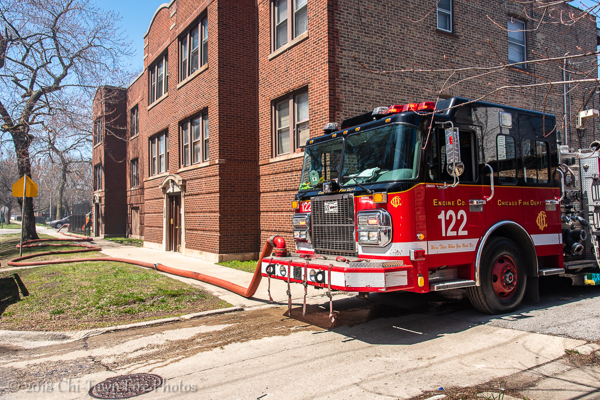 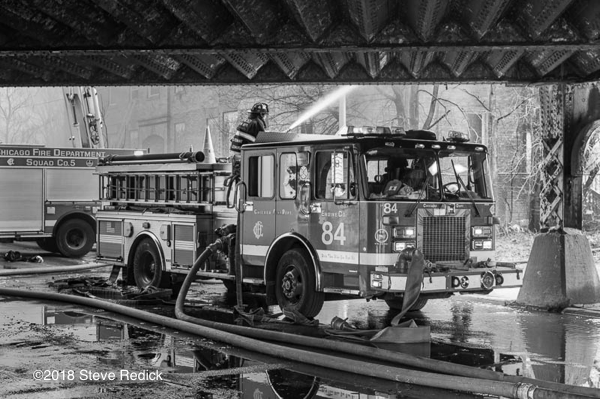 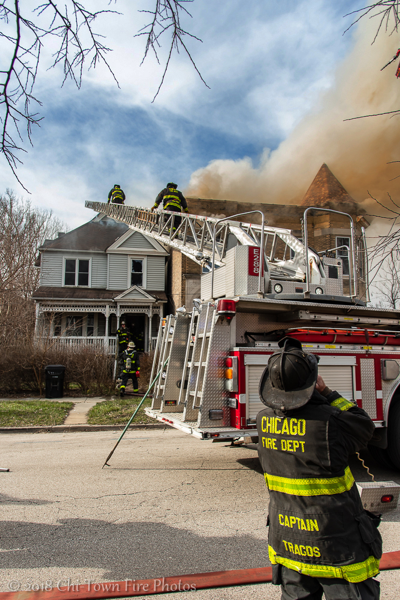 Chicago firefighters battle a Still & Box Alarm fire at 7142 S. Vernon on the city’s south side 4/25/18. 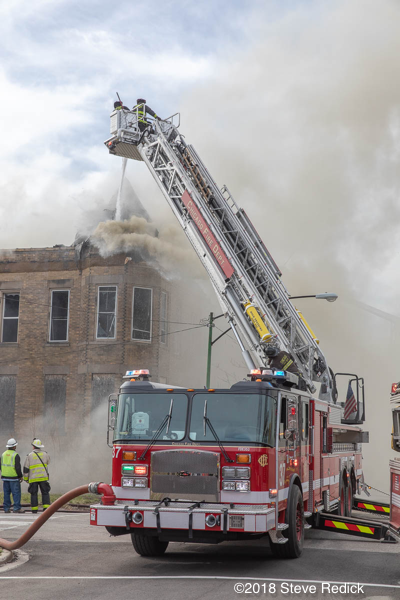 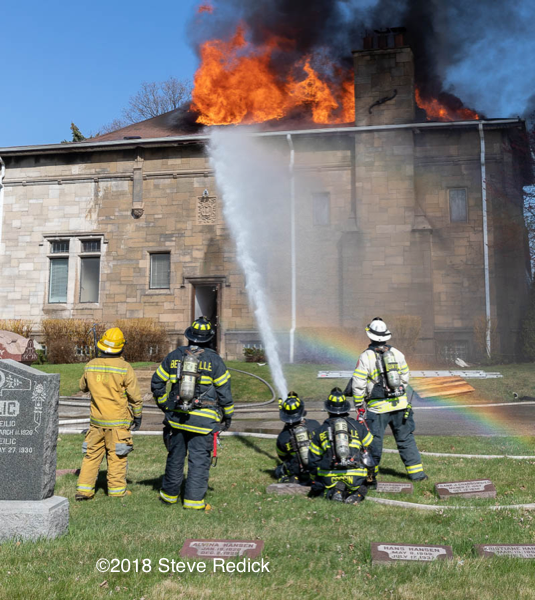 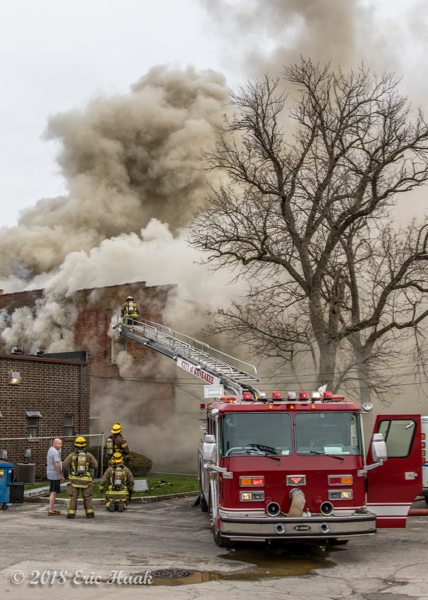 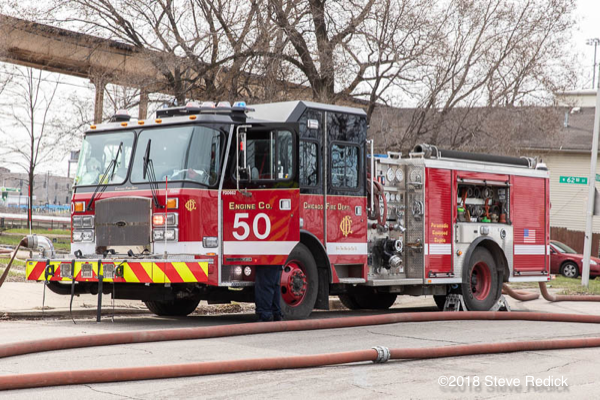 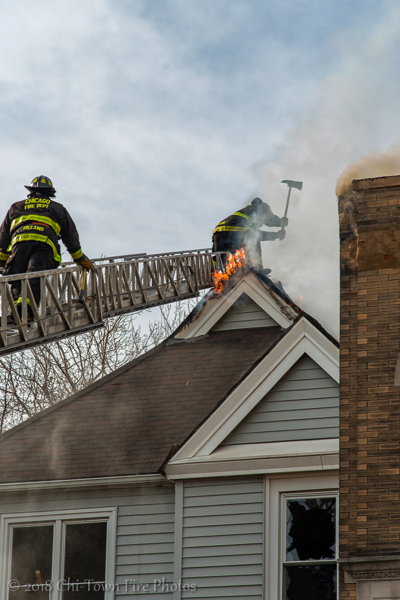 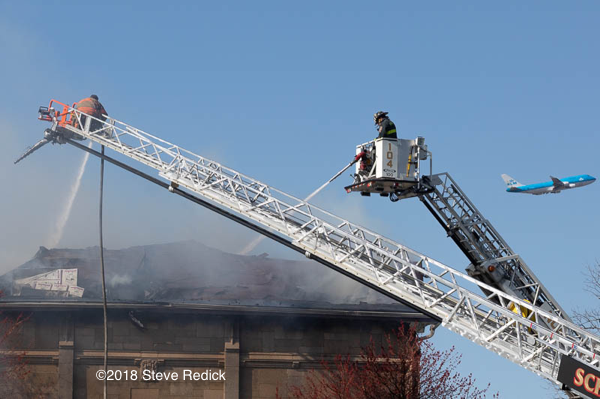 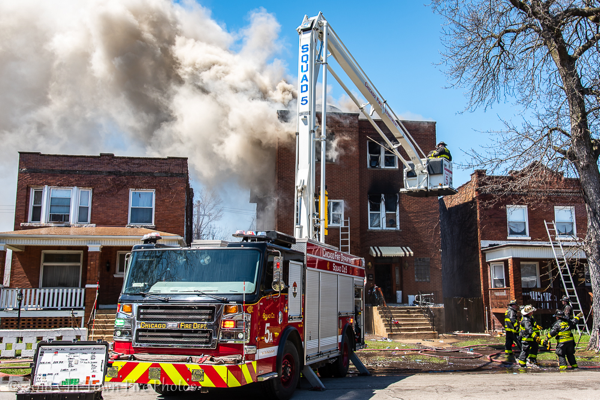 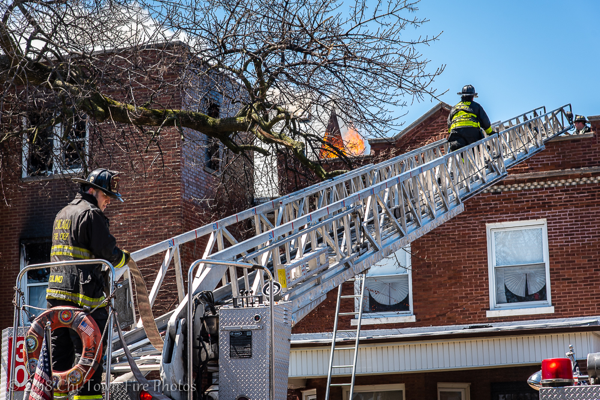 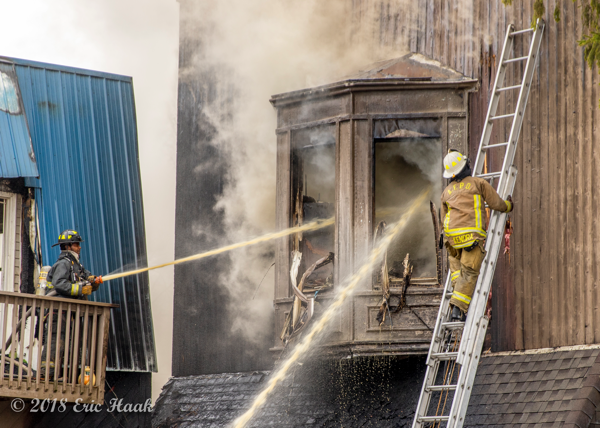 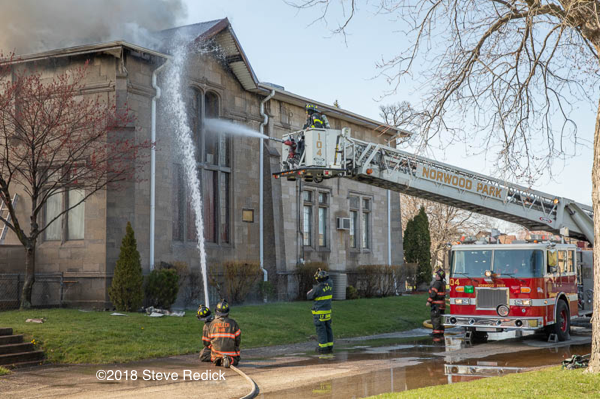 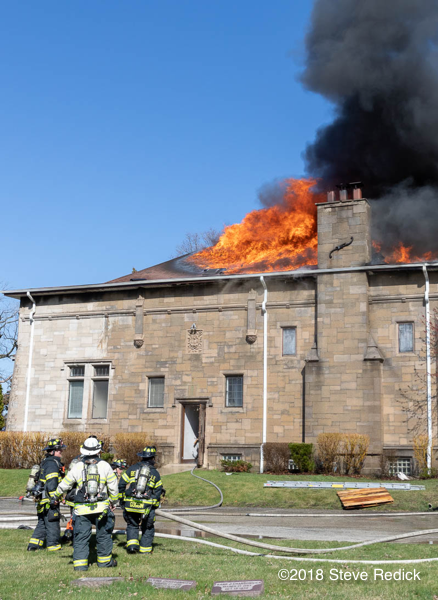 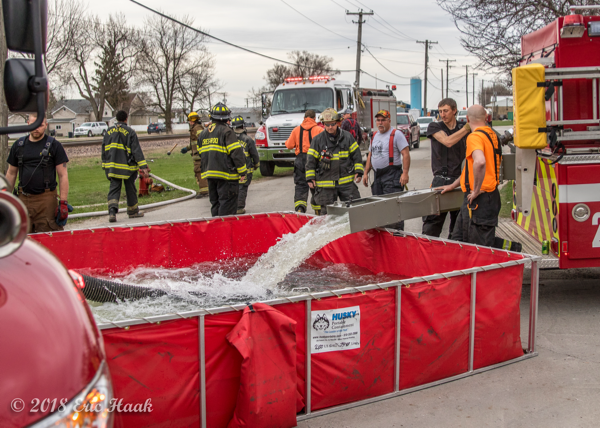 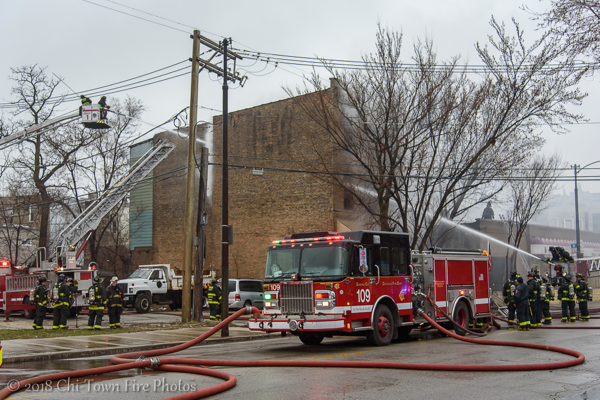 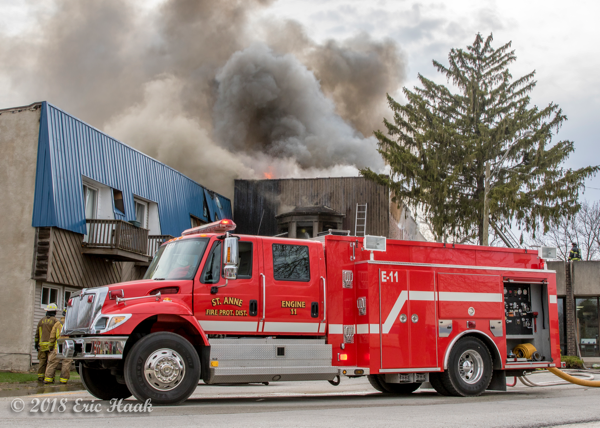 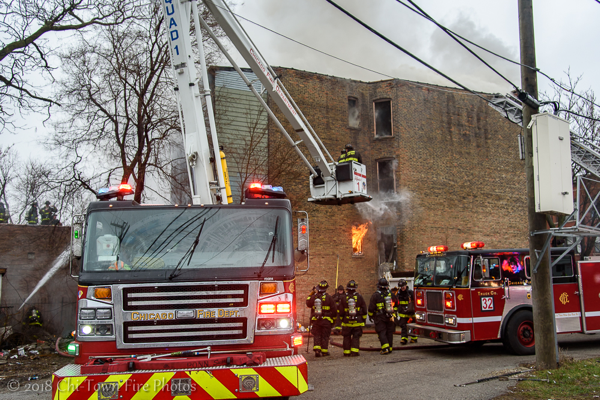 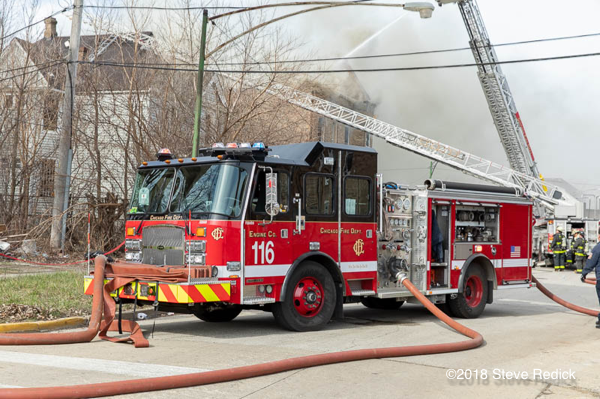 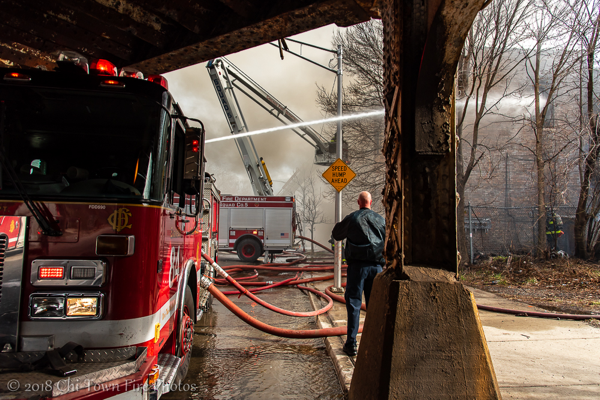 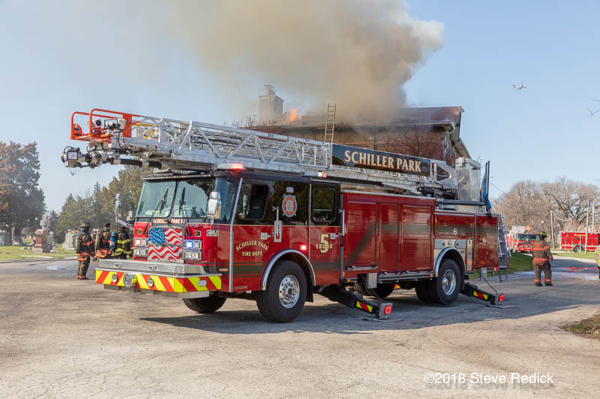 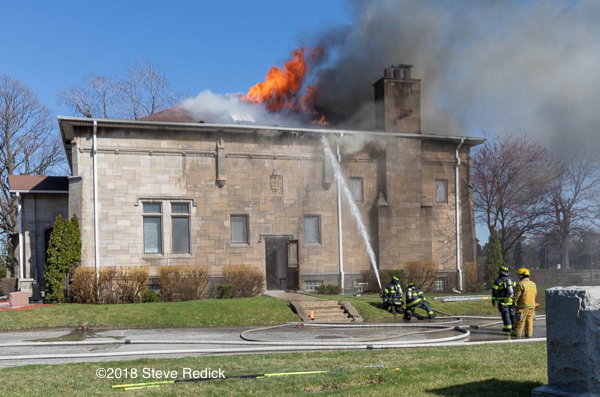 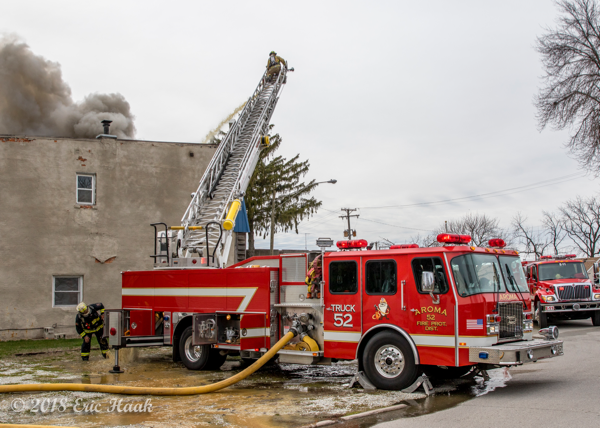 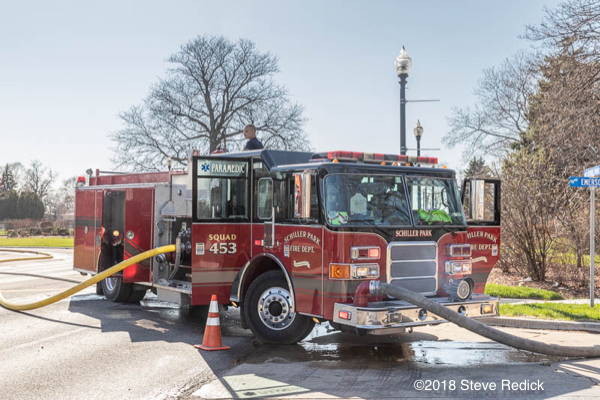 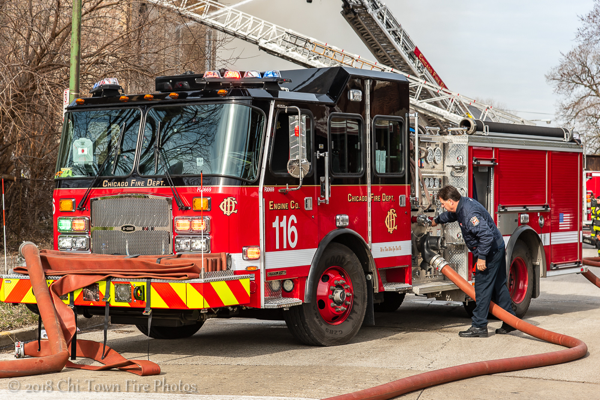 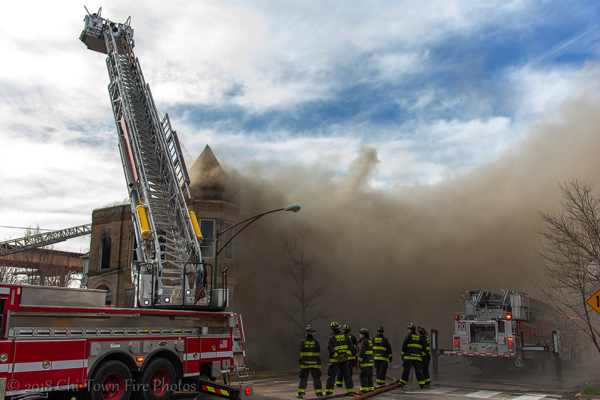 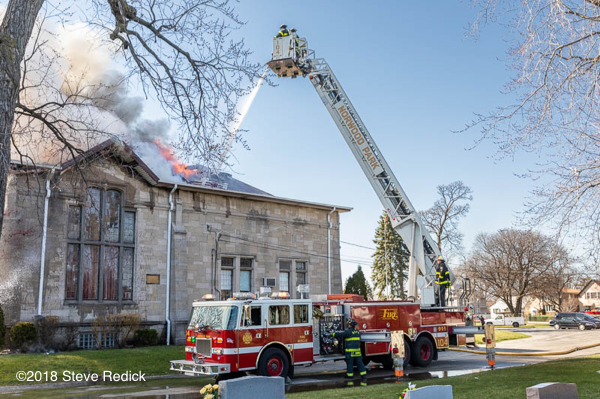 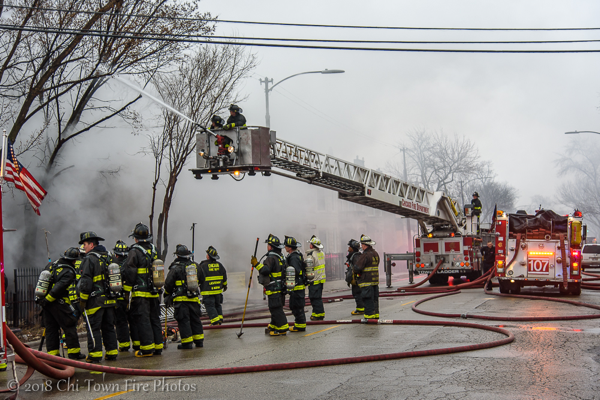 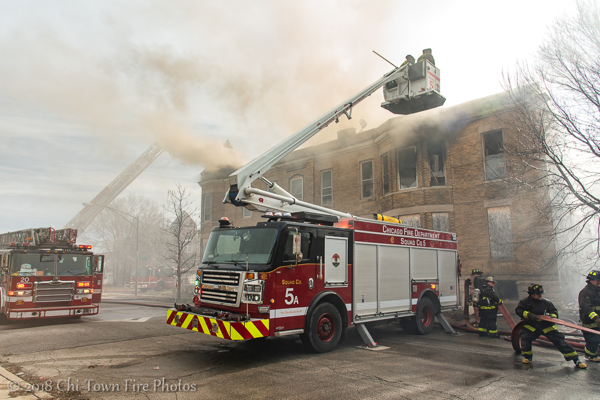 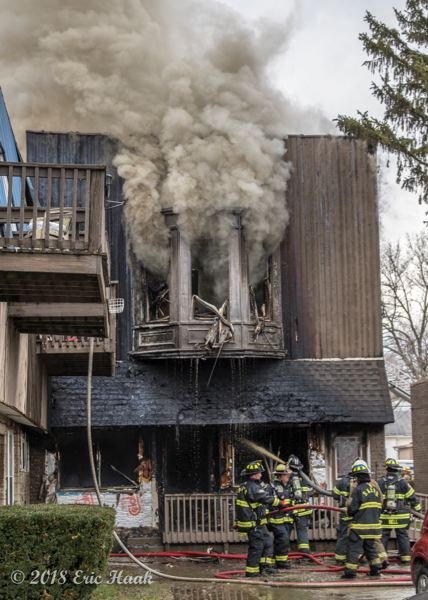 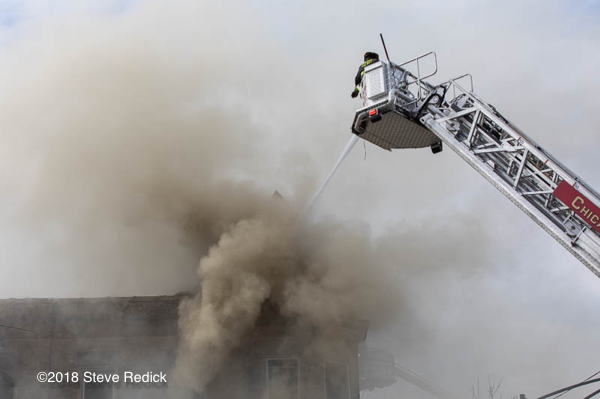 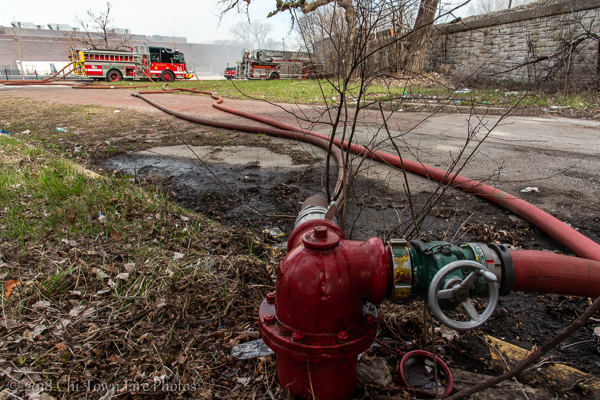 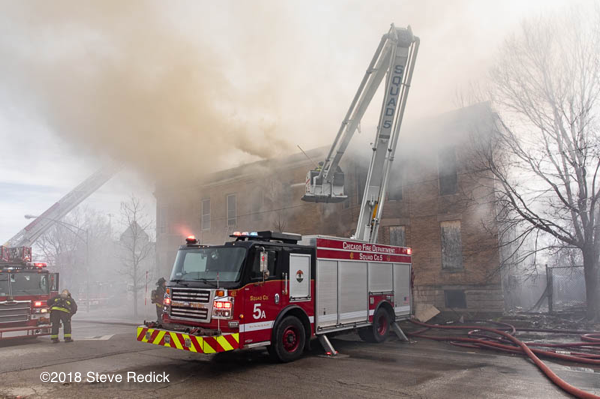 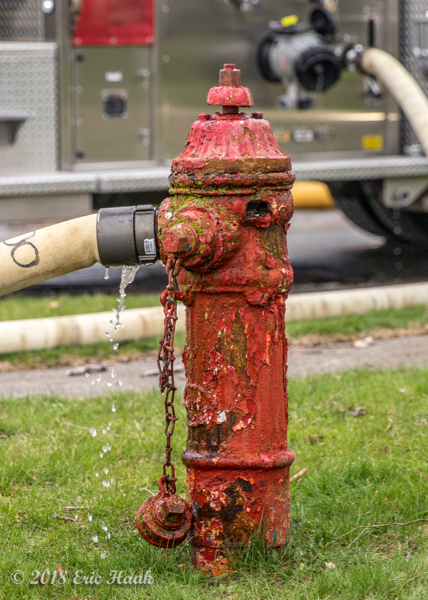 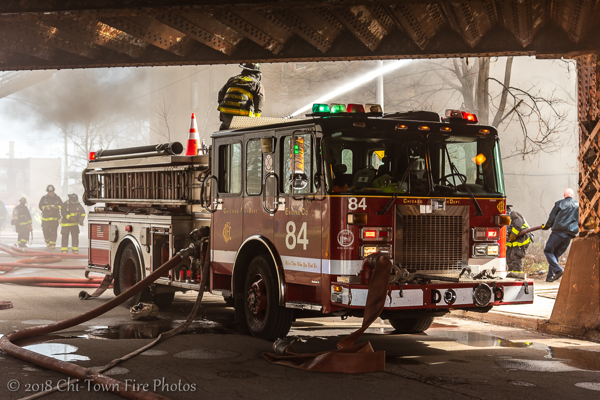 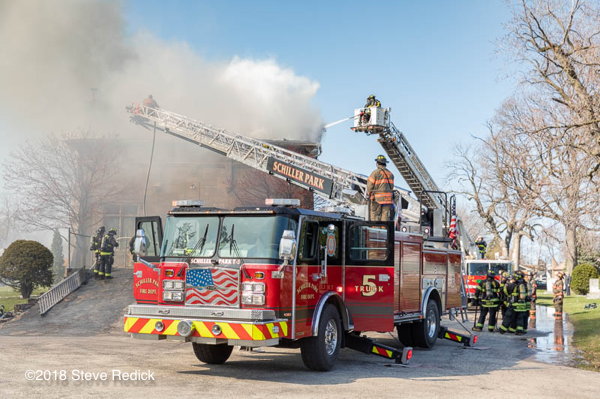 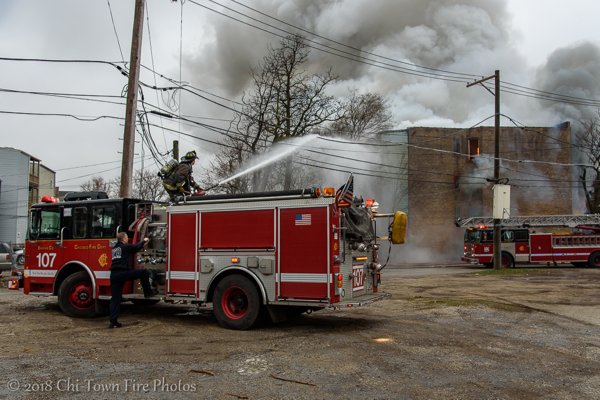 The town of Saint Anne, Illinois had a 4th Alarm MABAS Box on Saturday afternoon (4/22). 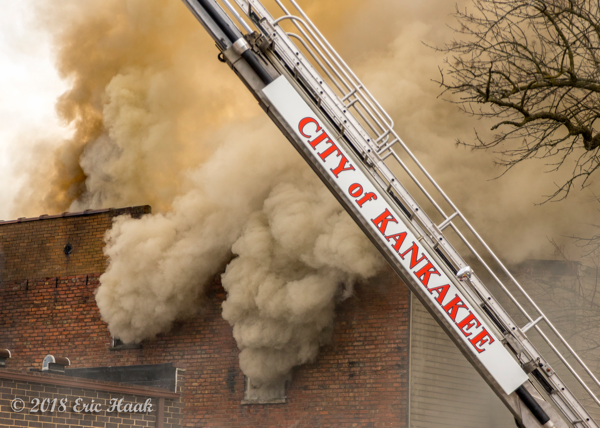 The call came in just before 3:30 pm with a report of flames seen from the closet. 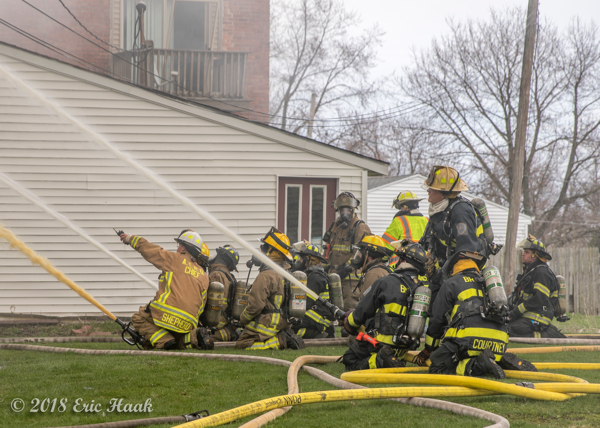 It was quickly obvious that this was a little more than that as the fire was boxed nearly on arrival and was escalated to a 2nd Alarm minutes later. 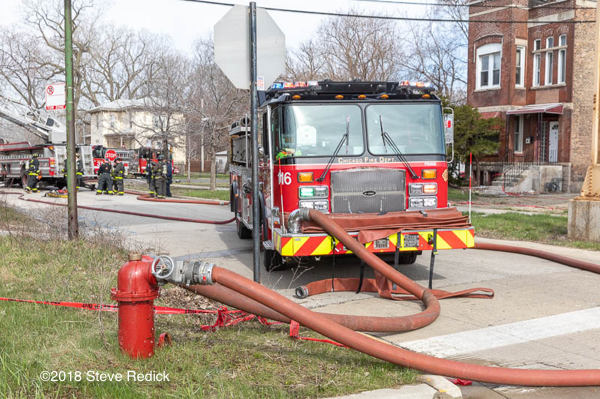 Very low water pressure led to available resources being spread thin and thousands of feet of 5 inch being dropped across the neighborhood. 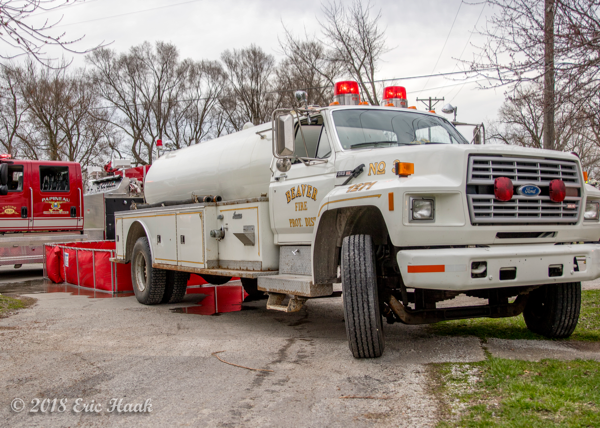 Eventually a tanker operation was set up as well as a MABAS 27 Engine Task Force request.